Lachlan Monaghan. Photo by Rosanna Ely. As a teenager growing up in the ’80s, I was hugely inspired by the TV version of Fame, a fictional show about teenagers attending a performing arts high school. Oh, how I would have loved to have gone to a genuinely performing arts-focused high school. I had read about The McDonald College and wondered if that would be anything like the “High School of Performing Arts” pictured in the TV show. Like the characters in Fame, students at The McDonald College do regular academic subjects, but they get to do a minimum of two hours each and every day on their chosen art. They get to be part of performances on and off campus, and they are supported to indulge in their passion for performance. Alas, I never even took this dream as far as looking at auditioning. 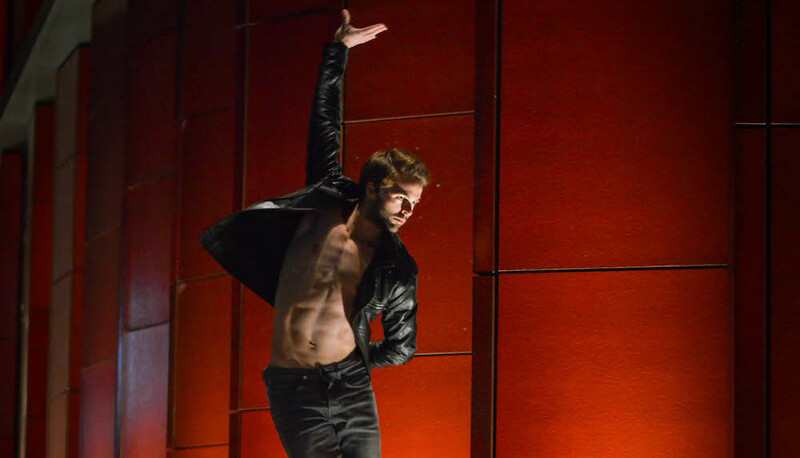 But Australian dancer Lachlan Monaghan went a lot further than dreaming about auditioning there. 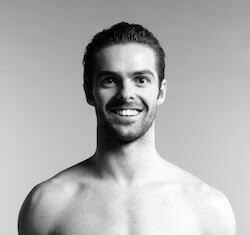 Having auditioned and been accepted, he then went through the school, performing in its youth ballet company, and now enjoys the role of First Artist with Birmingham Royal Ballet, one of the three major ballet companies in the UK. A nurturing place to start an arts career. The McDonald College holds auditions four times each year, with the next one coming up on 6 April. As a primary and secondary school, the dancers are often very young, and so the idea of auditioning can be intimidating, but in the audition setting, the College strives to mirror the nurturing and creative environment that students can experience each day when they study at the school. 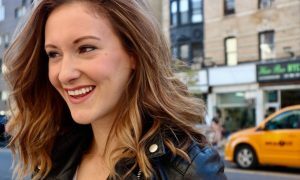 This warm environment during the audition was one of the reasons Monaghan chose to study at the College. Young Lachlan Monaghan. Photo courtesy of The McDonald College. As it turns out, Monaghan’s first impression of what the College could offer him was spot on. And it was the people there that were the highlight of his time studying there. 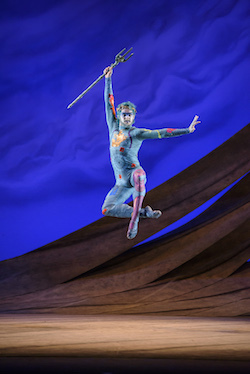 Lachlan Monaghan as Neptune in ‘The Tempest’. Photo by Bill Cooper. Plenty of practice at performing. Lachlan Monaghan in class. Photo by Andy Ross. By Monaghan’s account, the people and facilities at the College were outstanding, but it was the performance opportunities that really helped his career as a dancer. 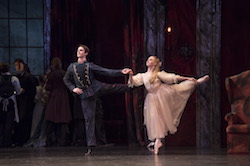 Lachlan Monaghan in ‘The Sleeping Beauty’. 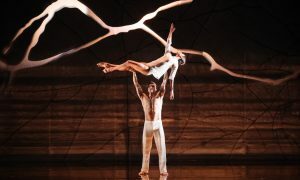 Photo courtesy of Birmingham Royal Ballet. 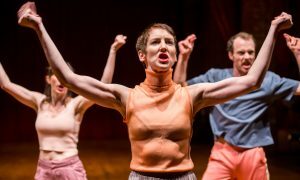 A supportive network to strengthen young artists. Of course, the quality of training, the facilities and performance opportunities are all key to creating successful professional dancers. 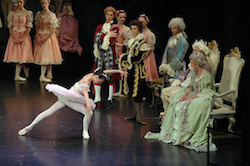 But something that is perhaps overlooked is an environment that keeps young dancers dancing. There are so many who enter professional training with stars in their eyes, only to stop dancing, burnt out and disillusioned. But that certainly wasn’t Monaghan’s experience at The McDonald College. Young Lachlan Monaghan (center). Photo courtesy of The McDonald College. From Sydney to the world stage. 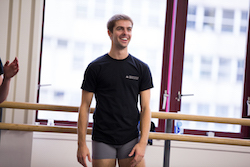 In 2009, at age 17, Monaghan went on to study full-time at the Royal Ballet School in London. 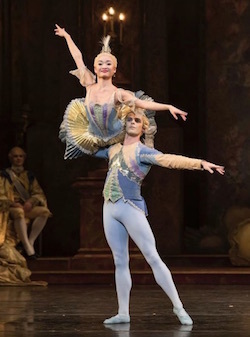 Now, as First Artist at the Birmingham Royal Ballet, he tours the UK and the world performing. 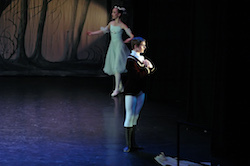 Lachlan Monaghan as Clara’s Dancing Partner and Karla Doorbar as Clara in ‘The Nutcracker’. Photo by Bill Cooper. Monaghan’s advice to anyone thinking about auditioning for The McDonald College is grounded and simple. The McDonald College is holding auditions in April, June, August and October in 2018. Registrations for the audition on April 6 are now open. Visit www.mcdonald.nsw.edu.au/enrolments/auditions for more information and to register interest in auditioning for acting, ballet, dance, music, musical theatre or technical production.